Come have fun with us. 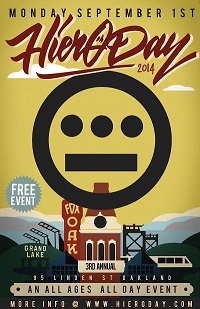 HIERO DAY is a HIP HOP music festival rich in Oakland culture and talent. Join the day and love every minute. See you there!